TOM THE DANCING BUG: YOU Are a Computer Criminal! 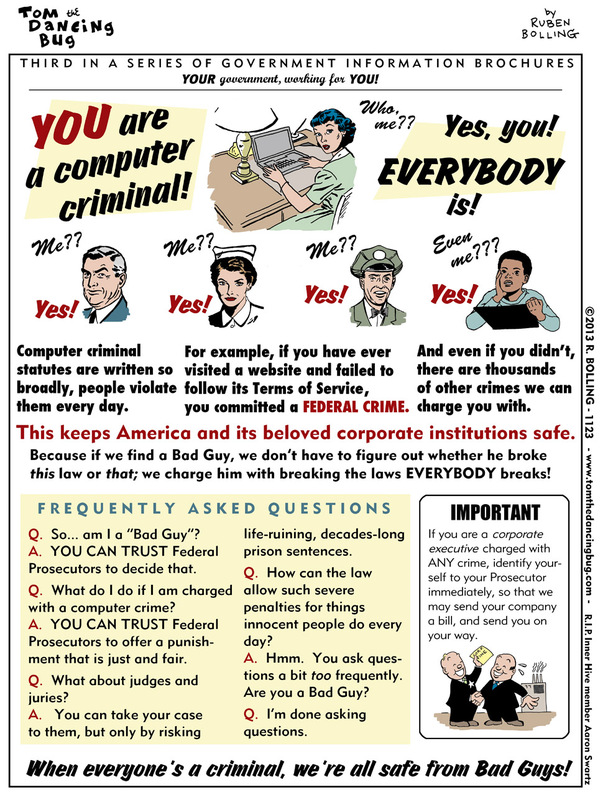 Tom the Dancing Bug, IN WHICH you can receive helpful information about the fact that YOU are a computer criminal. BE THE FIRST ON YOUR BLOCK to see Tom the Dancing Bug every week! Members of the elite and prestigious INNER HIVE get the comic in their inboxes at least a day before publication -- and much, much MORE! Please click HERE for information. Thank you.